Jeff understands that buying or selling a home is more than just a transaction: it’s a life-changing experience. That’s why his team of highly-seasoned professionals is dedicated to providing exceptional, personalized service for all of his clients. Jeff takes great pride in the relationships that he builds and always works relentlessly on your behalf to help you achieve your real estate goals. Jeff's team of experts represents the best and brightest in the industry, and are always striving to lead the field in research, innovation, and consumer education. Today’s buyers and sellers need a trusted resource that can guide them through the complex world of real estate. With our extensive knowledge and commitment to providing only the best and most timely information to our clients, we are your go-to source for real estate industry insight and advice. Jeff Maass has been a Licensed Real Estate Broker for over twenty five years. During that period, he has represented over 750 clients and sold over 850 properties. Much of Jeff's business comes from past clients and personal referrals, as Jeff continues to make the home buying or home selling experience a positive and stress free one for all of his clients. Jeff is assisted by a Support Staff, incuding Buyer's Agent, Transaction Coordinator, Escrow Coordinator and a Marketing Assistant. In addition, all Escrow and Title services are handled by individuals with whom Jeff has worked for over 15 years. In addition to his California Brokers License, Jeff is also a member of the California Association of Realtors®, the National Association of Realtors®, the Orange County Association of Realtors®, SoCal MLS® and the National Association of REO Brokers. Jeff has been awarded the e-PRO certification and GRI designations from the National Association of Realtors. In addition, Jeff has been the recipient of numerous production awards, and recognized in several large national publications. Jeff has been in the Real Estate business in South Orange County for many successful years and will be here for many more. This longevity and confidence comes from his real estate services to a great many buyers and sellers, and their recommendations to others that result in repeat and referral business that keeps him productive and successful. 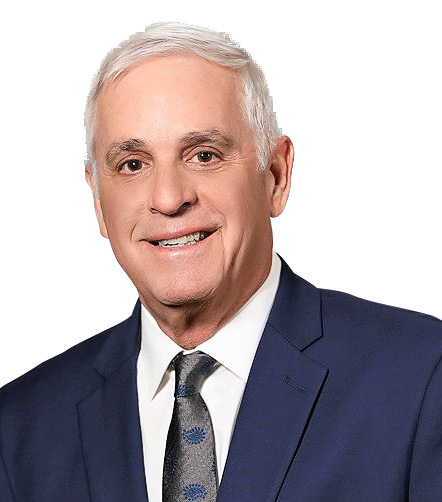 As a full service Real Estate Broker, he works with buyers, sellers and investors in real estate transactions spanning all price ranges and property types. 8 REASONS WHY you should refer your friends and family to me for all of their real estate needs. I will take care of them as if they were my own friends and family-you will not find anyone who will work harder for them with the goal of getting their home sold and/or finding them the perfect place to call home. My comprehensive market and advertising campaign-I will position and use the best media sources available to offer the greatest exposure for selling and locating a home when the time comes to purchase. My online marketing capabilities-I use specialized techniques to secure high volume, quality traffic to property listings and deliver exposure to more than 45 million potential buyers throughout the world. My negotiating strategies and tactics-I utilize the latest and most successful negotiating practices, giving my clients every possible advantage. My reputation-I take pride in having an excellent reputation. My track record of satisfied and repeat clients provides continuing evidence of this. My fellowship with other real estate professionals-I also have an excellent relationship with peers-a critical component when negotiating on behalf of a buyer or seller. My affiliation with Regency Real Estate Brokers, the dominant brokerage in South Orange County-I wouldn’t work for anyone else! We are the No. 1 company in South Orange County, and have maintained that standing for over a decade. I promise and commit to always providing personal, yet professional attention and responsive service.